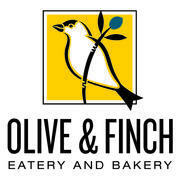 Olive and Finch, an award winning fast casual concept is currently hiring for several positions at our Cherry Creek (1st Ave) and Uptown (17th Ave) locations. We specialize in "scratch made, chef-driven food"! We are looking for career-minded individuals with BIG personalities! We offer competitive pay, meal discounts, benefits (for full-time team members), amazing promotional opportunities, great tasting food, and a chance to join an awesome team! - Lead Line & Line Cook (Full and Part Time) - Full availability - Saturday & Sunday days required. (6 am-9 pm) - Able to multi-task between orders while working a busy salad and/or flattop station (prepping, restocking and cleaning) throughout shift. Shift require prepping for the next service. Must follow proper food safety guidelines when switching between tasks. We will schedule a stage with you as part of the interview process. About Olive and Finch:Our focus is scratch-made and wholesome food delectably made to order. We know a home-cooked meal or full dining-out experience is not always an option, but we also know the quality of your food should never be compromised, that's why we're here. We've spruced up a selection of classic recipes along with a variety of creative dishes all made with our love for savory food made fresh.We keep our kitchen stocked with fresh baked breads, sauces made by hand, and the freshest produce available. 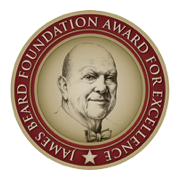 Our meats are roasted and seasoned by our chefs--all under our very own roof. That's what we believe it takes to hand-craft recipes that are wholesome and full of flavor.